motion+ equipment is a complete range of play activities that move, including swinging, rocking, twisting, bouncing and more, and provides that action packed fun that kids love! From the all time favourite swings to rockers, spinners, carousels, diggers and trampolines up to ultimate action, the Flyway flying fox, it is fun from start to finish. 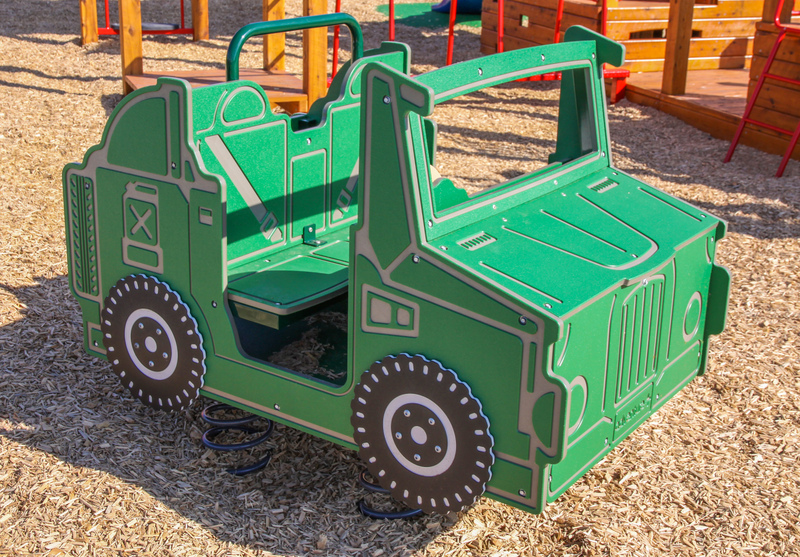 Specially designed to provide an extra challenge, motion+ equipment is not only fun and exciting, but also helps develop motor skills, build strength and improve balance and coordination, along with other important physical development skills. Being non static, motion+ equipment has that ‘something extra’ advantage that complements more traditional equipment well. With challenging equipment forming an integral part of good play area design, and the increasing desire to create unique play spaces, motion+ is the perfect answer. Get some action into your play area with motion+!